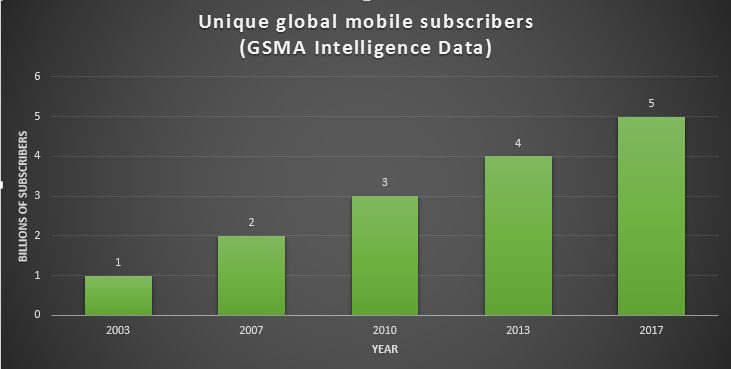 Some 5 billion unique subscribers are now connected to a mobile service worldwide, representing two-thirds of the global population, according to real time data from GSMA Intelligence. As of Tuesday morning, GSMA Intelligence’s mobile tracker calculated there were just over 5,006,489,000 individuals with mobile connections. 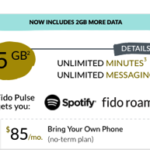 It’s important to note that this figure is specifically counting unique subscribers rather than mobile connections. The latter figure is higher – standing at around 7.7 billion, excluding M2M connections – since a “unique subscriber” as defined by GSMA can have multiple connections or SIM cards. It has taken four years to add the latest 1 billion subscribers, driven by the Asia Pacific region, which now accounts for more than half (55 percent) of mobile subscribers and the world’s two largest mobile markets: China and India. China accounts for more than a billion of the world’s subscribers, while India accounts for 730 million, said GSMA. GSMA indicated more than half (55 percent) of global subscribers are in the Asia Pacific region, while Europe, Latin America, and Sub-Saharan Africa each account for around 9 percent of unique subscribers. North America is farther down the list with around 6 percent of the global subscriber base. Overall, unique global mobile subscribers will increase to 5.7 billion by the end of the decade, representing almost 75 percent of the world population, according to the GSMA Intelligence forecast.